Four players stand about two feet above the elbows of the keyway with the fifth player under the basket with the ball. 5 passes to 1 who is leading for the ball. 1 passes to a leading 3 and then 1 replaces 3. 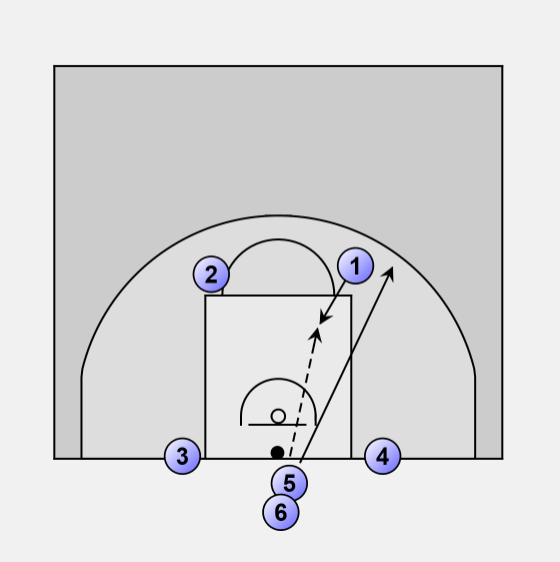 3 passes to a leading 4 and then replaces 4. 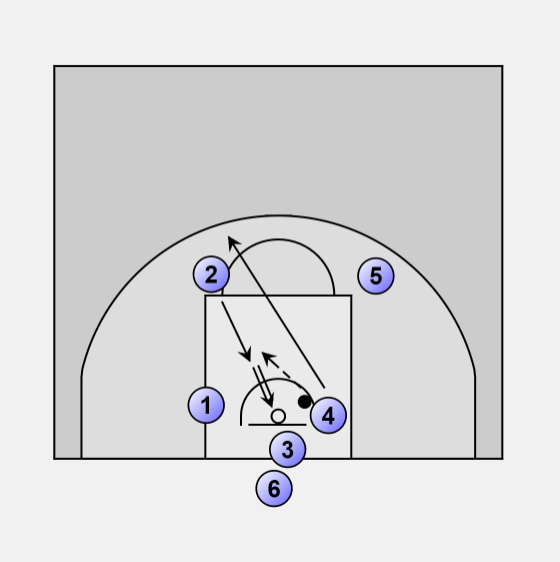 4 passes to a leading 2 and then replaces 2. 2 catches the ball and makes the lay-up. The made shot is rebounded by 2 who hands off to 6. The sequence then starts again with each player passing to the next.